Let the music play. In High-Res. Vinyl, Turntables, and great music! Let the music play. In High-Res. But what’s the quality of this digitally downloaded stuff? Will it evoke the same deep emotional response? And what does it sound like cranked up to full tilt on speakers for your party? 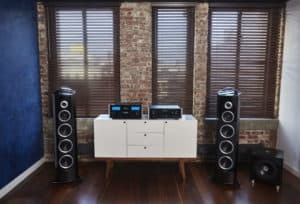 Music streaming has renewed great interest in home audio. Today you can quickly and easily download your favorite songs—even those forgotten tunes that you once played on an “antique” CD player. Or discover new music from budding artists to add to your playlists in the swipe of a finger. Much of the music available on the internet is compressed or squeezed, to make the files smaller and more manageable. Sadly, many of the subtle – yet critical – instrumental and vocal nuances of the original recording get squeezed out in the process. Yes, you’ve lost the artist’s original intention and some power of the piece and performance. Along with high-res audio (also branded as Hi-res audio) content available from countless services came the development of advanced data-packing technologies. 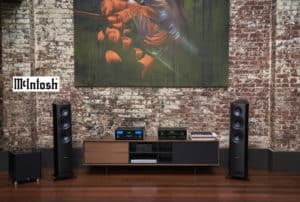 When married with high-performance audio components, you create the best of both worlds: the simplicity and convenience of streaming music along with the best listening experience around. 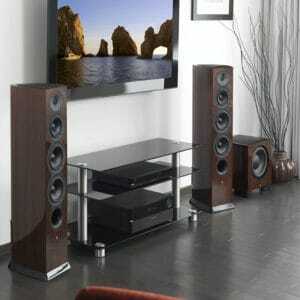 Call to have our pros prep your house for the most unbeatable audio experience you’ve ever had. Tell us where you heard about high-res audio for the first time. ← Father’s Day Gift- Get Him Something Unique! Domes AV works throughout Virginia Beach, Chesapeake, Norfolk, Newport News, the Outer Banks and surrounding communities. Give us a call today to see how we can help your next project!